How Much is a Stolen Credit Card Worth? Back in 2008, Jacob Leibenluft of Slate did a story about how credit card numbers were for sale in “data supermarkets” online. You might find it surprising but credit card numbers aren’t worth very much. Symantec reported in 2008 that the cost ranges from 40 cents to $20, with the higher values going to European or smaller card companies because they’re harder to find. Bank account numbers go for a little more, $10 to as much as $1,000. 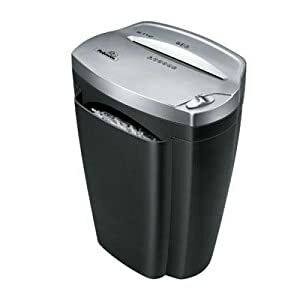 One of the most important tools you can buy to help you prevent identity theft is a cross cut paper shredder. A cross cut paper shredder does exactly what it says it does – cross cuts paper. Cross cutting means the shredder cuts vertically and horizontally to turn a regular sheet of paper into a hundred pieces of confetti-like bits. Traditional paper shredders, which cut only vertically, result in long strands that are easier to put back together. While a traditional shredder is better than ripping it up, a cross cut paper shredder is much better because it’s a lot harder to put the tiny pieces together. Just this week we learned of a new way that identity thieves are stealing identities – scanning for inactive Social Security numbers of children and selling them to other people. One of the weaknesses of the credit reporting system is that there’s no way to determine the applicant’s age from their report. If you think back to your own report, there isn’t a birthday listed because, presumably, your age is not a reliable factor on your credit risk. Thieves are able to get away with it because children never apply for credit, children don’t review their credit reports once every twelve months, and it’s typically not discovered until the family starts receiving collection notices for debts they never knew about! The Identity Theft Resource Center has a fact sheet to help explain the problem and how you can fix it. Ultimately, the best solution is to review your children’s credit reports regularly, as you do your own, to detect it as early as possible.